In 2015, Adam launched his first memoir, 'mum, i wish i was dead - the story of a teenager who conquered depression', to a sold out audience in Sydney, Australia. Adam Schwartz has spent more than a third of his life battling depression. At the age of 10, he began years of school refusal, bouts of destruction, physical illness, endless trials with unsuccessful drug regimes and contemplation of suicide. Finally, he was forced to drop out of high school and relinquish his hopes of further education and a bright, healthy future. Fortunately, Adam’s story has a happy ending. As someone who has only just left those terrible years behind, his recollections of what it is like to be a child and teenager suffering with depression are vivid. 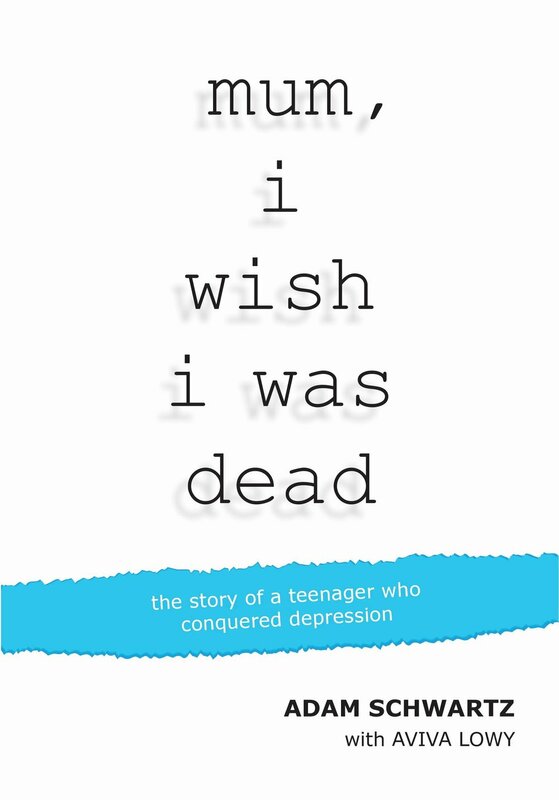 mum, i wish i was dead tells the story of Adam’s journey through this illness and was written to help raise awareness of the effects of depression, and give hope back to young people, sufferers, their families, and carers. *International hard copies are available via local Print-On-Demand services.